How do I determine if a work in the BHL is in the public domain? How is copyright status described in BHL? How do I determine if a work in the BHL is in copyright? Can I use your files? What kinds of files are available for reuse? What are BHL’s take-down guidelines? Does BHL claim copyright on its digitized works? Is there any license applied to BHL’s data? For the United States, the publication must be published prior to 1924. Works that may be in the public domain under United States law may not be in the public domain under the laws of other countries. You will have to research your country’s laws in this matter. The BHL cannot and will not advise you or any other party about interpretation of your country’s copyright laws. Generally speaking, the country where you plan to use the image and the nature of the use dictate what you can/cannot do as well as the level of risk involved. Please review the copyright law for the country in which you plan to use the content. BHL recommends consulting https://wipolex.wipo.int/en/main/legislation for further information. You may also contact the “Contributor” to verify the status of the specific book or volume. Yes, please! If the files are from a work in the public domain you are free to reuse it including commercial reuse. Please see the above sections to learn more about how to determine the copyright status of a title in BHL. Generally speaking, the country where you plan to use the image and the nature of the use dictate what you can/cannot do as well as the level of risk involved. Please review the copyright law for the country in which you plan to use the content. BHL recommends consulting http://www.wipo.int/wipolex/en/national.jsp for further information. If the files are from a copyrighted work for which we have obtained permission, then all of the files on www.biodiversitylibrary.org are free for non-commercial use, as long as you abide by the terms set down in the Creative Commons Attribution-NonCommercial-ShareAlike 4.0 license (CC BY-NC-SA license). For information about how to download content please see Download Help. BHL allows you to download whole books, specific articles, or individual pages in various resolutions. No commercial use – you cannot use images in the BHL collection to make money, or for any commercial endeavor, without prior approval. Please feel free to use the images for your presentations, academic materials, non-profit publications, or non-profit web sites. If you want to include the images on your commercial web site, please read the commercial licensing provisions below. Provide attribution – we prefer “Image courtesy of Biodiversity Heritage Library. http://www.biodiversitylibrary.org“. For more information, see Creative Commons Attribution-NonCommercial-ShareAlike 4.0 International (CC BY-NC-SA 4.0) license. This license applies only to content stored within the Biodiversity Heritage Library. It does not apply to image files at other sites that are linked from the Biodiversity Heritage Library. You must contact the copyright holders for any commercial use. The BHL will not and cannot give or withhold permission for commercial use of any work in the BHL derived from a work under copyright. Using the metadata supplied with each volume, please determine the copyright holder or the institution that contributed the work and contact them directly. 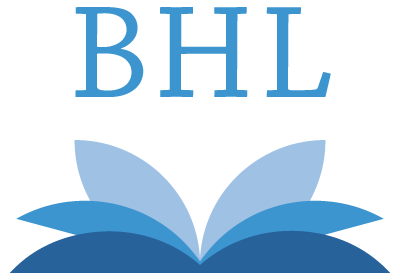 Please see the BHL Consortium Membership page for more information about contributors. The BHL will not act as “middle-man” in this communication. 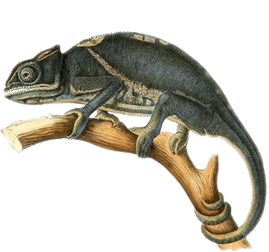 The Biodiversity Heritage Library contains digital versions of important works of biodiversity literature. These digital versions are made up of a series of files such as JPEG2000 image files, Optical Character Recognition (OCR) text files and XML metadata files. Download Help for instructions on downloading and viewing files. Data Exports for instructions on downloading BHL metadata files such as title and scientific name data files. Developer Tools & APIs for instructions on using standard protocols to harvest BHL data such as OAI-PMH and APIs. For more information about U.S. copyright, please consult Peter B. Hirtle’s Copyright Term and the Public Domain in the United States, 1 January 2019. For any questions or concerns regarding the BHL collection and copyright, please contact Bianca Crowley, BHL Digital Collections Manager. In addition to works in the public domain the BHL contains digital versions of some works still under copyright for which the BHL has obtained permission from the copyright holders. In these cases the Creative Commons Attribution-NonCommercial-ShareAlike 4.0 license applies. Most of these works are journals published by non-profit learned societies or research institutions whose mission is involved with biodiversity. As more materials are added to the Biodiversity Heritage Library our usage terms may evolve. The Biodiversity Heritage Library is committed to keeping public domain materials in the public domain. The BHL makes its metadata available for public use under the CC0 1.0 Universal (CC0 1.0) Public Domain Dedication license. This Creative Commons license allows you to reuse, modify, repurpose, and distribute the metadata for all purposes including commercial and non-commercial, with no need to ask for permission. Library catalog records, i.e. bibliographic data, used to describe the books and journals in the BHL collection (e.g. title and author data). Page level data such as page numbers and pages types (e.g. “Title page” and “Illustration”). Scientific name data, e.g. “Zea mays”. (For more information about how this data is generated, see our scientific names information). Go ahead, take our metadata and do something creative with it! If you do repurpose BHL metadata please share your story with us. We often like to feature stories of reuse on our BHL blog.